The Seahawks could clinch a wild-card spot in two weeks — and they also would have a good shot at making the postseason even if they lost to both Minnesota and Kansas City. The Hawks are currently given an 88 percent chance to make the postseason, according to FiveThirtyEight (Football Outsiders calls it 92 percent). There’s a chance that could improve to 100 percent before the Seahawks play Kansas City in Week 16. If the Seahawks beat Minnesota next Monday and then the 49ers the following week, they would be 9-5 — good enough to lock in a playoff spot if three of these things were to happen: Carolina loses one more, Philadelphia loses one, Washington drops the next two, Minnesota also loses to Miami in Week 15. 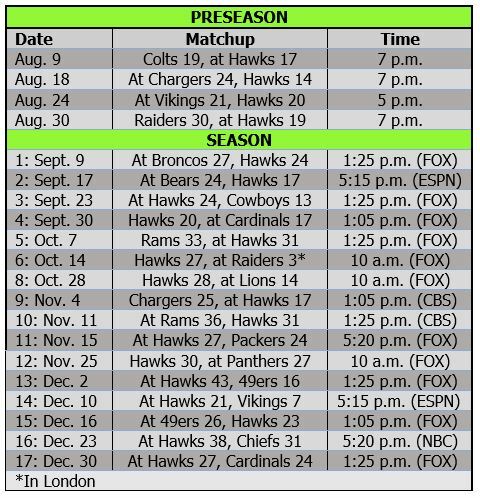 Basically, the Hawks need three of those fellow wild-card contenders to reach seven losses for Seattle’s final two games not to matter (the Seahawks will be on the road for the playoffs regardless, assuming they make it). Carolina has slid to 6-6 with four straight losses (including one against Seattle). The Panthers play at Cleveland next and then host New Orleans — so it’s easy to see them losing at least one of those. Washington (6-6) lost at Philadelphia on Monday night — and is now down to No. 3 QB Mark Sanchez after Colt McCoy joined Alex Smith with a season-ending broken leg. Washington hosts the Giants next before going to Jacksonville, and they could feasibly drop both of those games (the Giants just knocked off Chicago). The Eagles (6-6) have a big game against Dallas this week and then visit the Rams. A loss in at least one of those seems almost certain. Minnesota (6-5-1) has not beaten a winning team this season (0-4), and will have a tough chore defeating Pete Carroll and Russell Wilson in Seattle in prime time. In Week 15, the Vikings host the Dolphins and are big favorites, so they might be the least likely to hit seven losses in the next two games. But, if the first three teams stumble, the Hawks could be in before they face Kansas City in Week 16 — and their last two games wouldn’t mean much beyond setting their playoff destination. The Hawks currently are in the No. 5 playoff spot, with a 39 percent chance of facing Dallas (whom they beat 24-13 in Week 3) and a 24 percent chance of a rematch with the Bears in Chicago (where they lost 24-17 in Week 2). They probably would prefer Dallas to chilly Chicago in January. 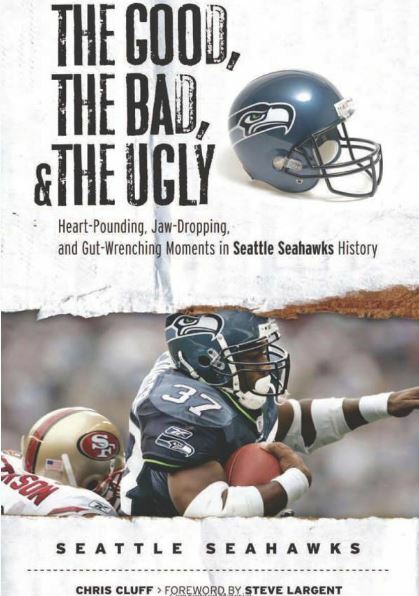 This upcoming Monday night game against the Vikings can/should cement the Seahawks as the clear No. 4 team in the NFC — behind New Orleans, Los Angeles and Chicago. Of course, the Hawks don’t have to beat Minnesota to make the playoffs. They own “we beat you” tiebreakers against Carolina and Dallas (if the Cowboys get knocked out of the East lead) and also would edge out Washington in common games, if needed. So Seattle could actually lose to both Minnesota and Kansas City, as long as it beat San Francisco and Arizona, and still make it in at 9-7. Things have really fallen into place Seattle. Two weeks ago, who would have said that they’d be in control of their playoff fate by now? There’s an argument that they are the third-best team in the NFC. I can’t see Seattle beating the Saints. I’d give them a puncher’s chance against the Rams just because they’ve come close twice and because it’s hard to beat a good NFL team three times in the same season. They’d need to catch some breaks, though, and Russell would have to be in top form beginning to end. 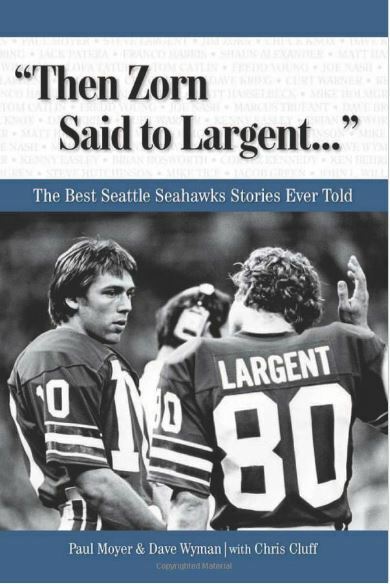 Seattle has won 1 road division round playoff game……and that was 35 years ago. Their Super Bowl will be Wild Card Weekend. I think the question now is would you want to play in Dallas or Chicago?